With the advent of large screen smartphones and tablets becoming the new big trend, the small ones are usually overlooked and put in the disdain category. 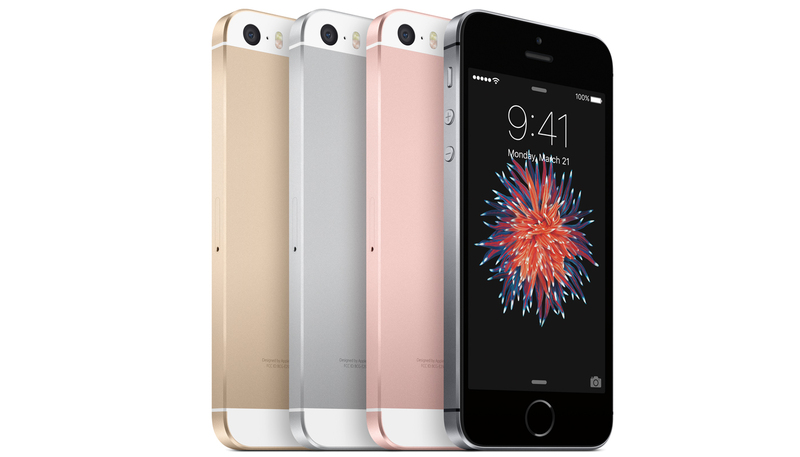 With new and indispensable features making their way to the market, there is very little room for small smartphones to make their mark – or so it was supposed until a small step by Apple took the world by storm as they released the iPhone SE (Special Edition). Apple took the main stand and understood that there was a major demand for four inch iPhones. After the success of the iPhone 5 & 5S, people have become accustomed to holding such small and smart devices in their hands. Still, they were either forced to move up to the big leagues like iPhone 6 series or they were tempted to change their course to something primitive like Android. Apple, however, took a great step forward and combines the small size of previous iPhones and the latest high tech features from the latest ones and concocted an absolute winner. It may be compact but it’s got style…. A wonderful craftsmanship is displayed on the outer front of the set that boasts a truly mesmerizing display despite the four inch retina display. Polished and with curved edges for a smooth and cool hold, its stylish ambience is considered one of Apple’s best creations to date. There was a time when people used to say that size does matter. Not anymore – with the new A9 processor chip embedded into the iPhone SE, there is an unexplored world of high performance rate and multitasking. Not only that, but this chip has the capability to perform at high speed that is equal to the iPhone 6s. The iPhone SE doesn’t just promise a picture, it promises an experience unlike any other that can be etched into memory of the iPhone forever. The iSight camera makes sure to take every single detail in high definition and brings it to life with Live Photos. The 12 mega pixel show stealer is exemplary in its ability to take photos and shoot videos in 4K. The theme and platform that really sets this smartphone on fire is the iOS9 update that is already installed within. Even though the new update is available for previous iPhones, the real magic of iOS9 can only be experienced with the Special Edition. It’s beautiful – it’s slim and its special all the way. For those with an addiction to large mobile phones & tablets, they should definitely try out the iPhone SE. It may not provide a large display, but it is clearly the entire package when it comes to the style, the feel and features.